Soccer superstar David Beckham and hip-hop artist Eminem are just two well-known personalities who have chosen to decorate their bodies with lettering tattoos. 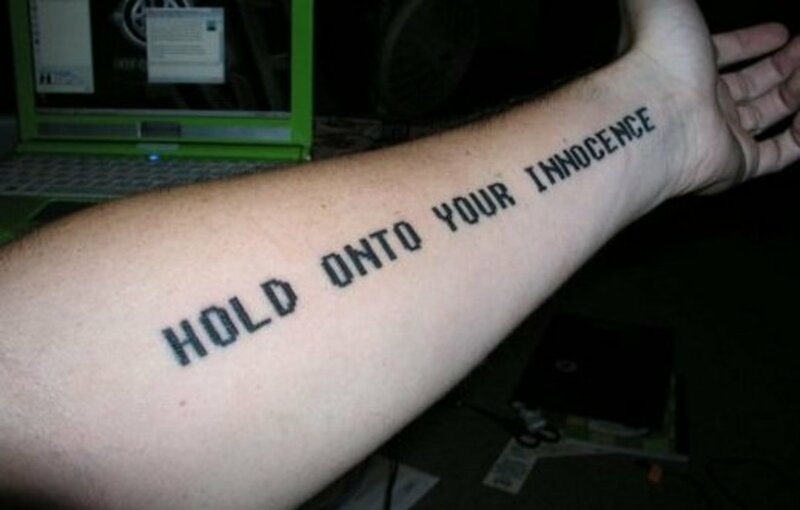 In the form of words either done in English or translated into another language, lettering tattoos can be words, names, dates, phrases, lyrics. There is some debate as to whether or not characters (such as Arabic, Hebrew or Sanskrit) that are used in lieu of words can actually be considered "lettering", due to the fact that they do not utilize actual letters. 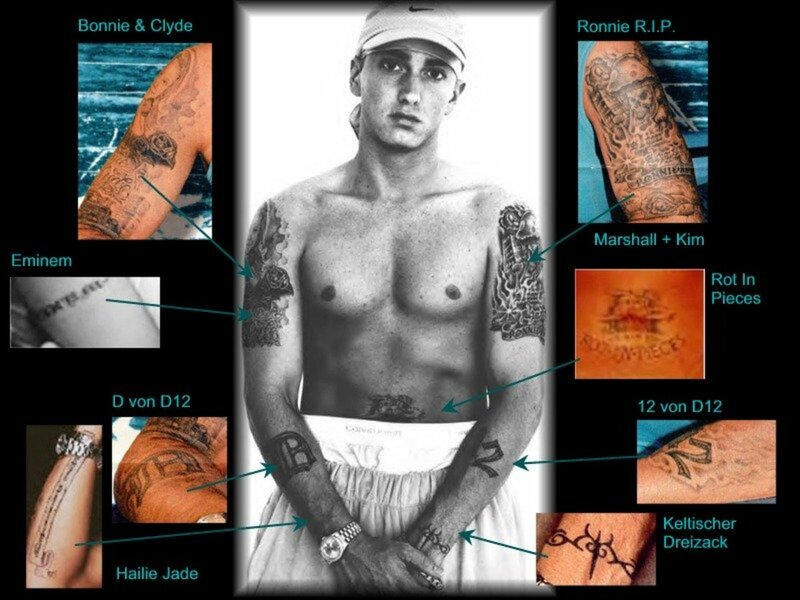 Eminem's most prominent lettering tattoos are the super-sized "D" and "12" on each of his forearms in an Old English script. 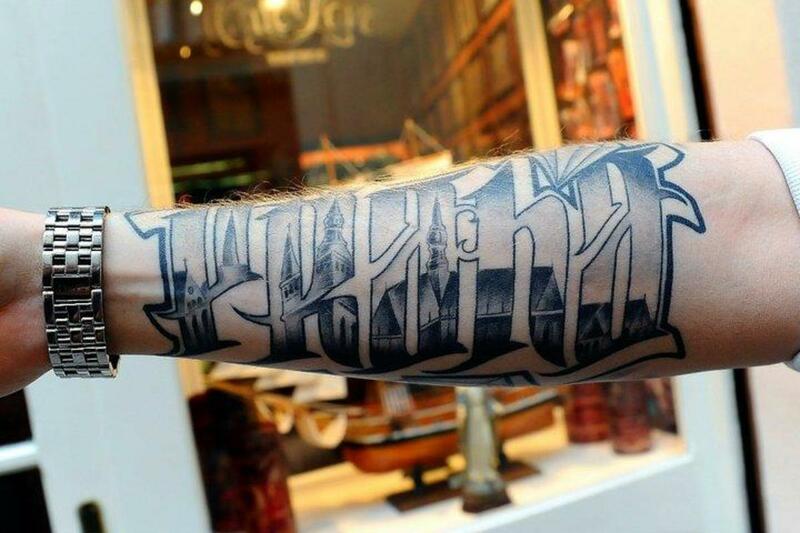 David Beckham chose to tattoo the names of his children, Romeo, Cruz and Brooklyn also in an Old English font. 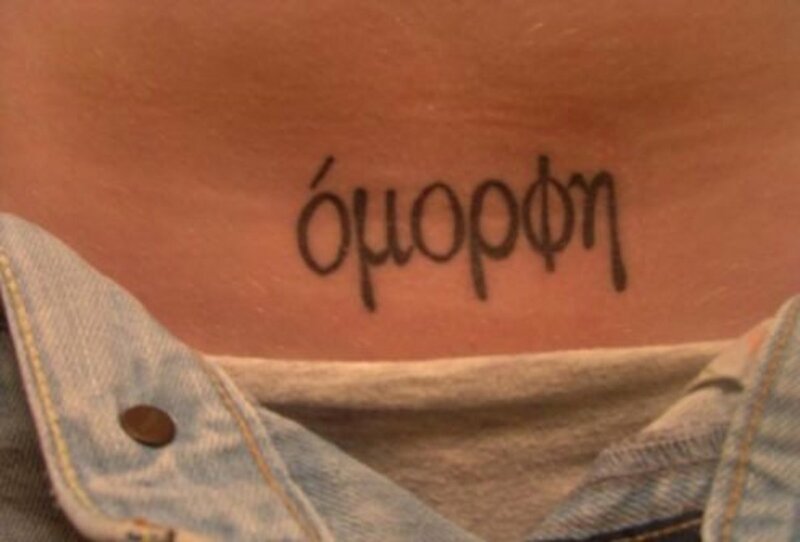 His wife, Victoria, went for a verse from Song of Songs 2:16 in Hebrew characters running down the back of her neck which translates to "I am my beloved and my beloved is mine." David Beckham later got a similar Hebrew tattoo on his lower arm to match his wife's. 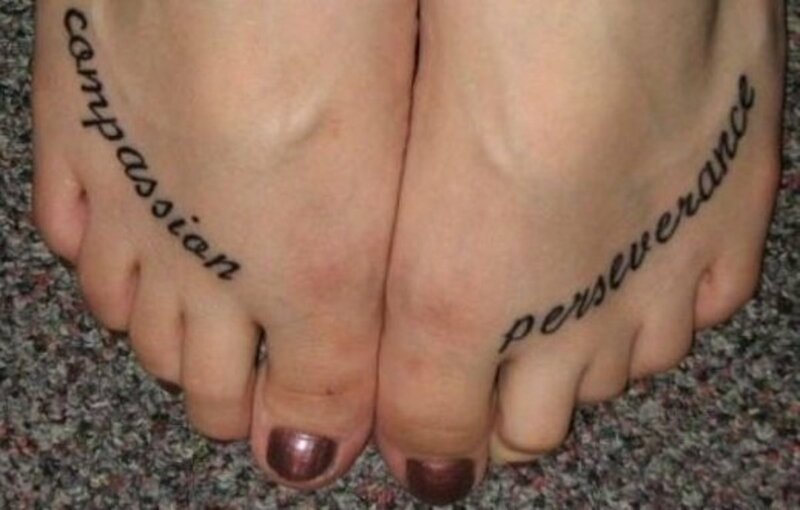 In fact, matching tattoos among lovers and friends are becoming more commonplace these days, as the public graduates from simple ring finger designs and name tattoos to shared quotes and ideals of a higher consciousness. Angelina Jolie's infamous "Billy Bob" dragon in honor of then-husband Billy Bob Thornton was an obvious and explicit dedication to her love. 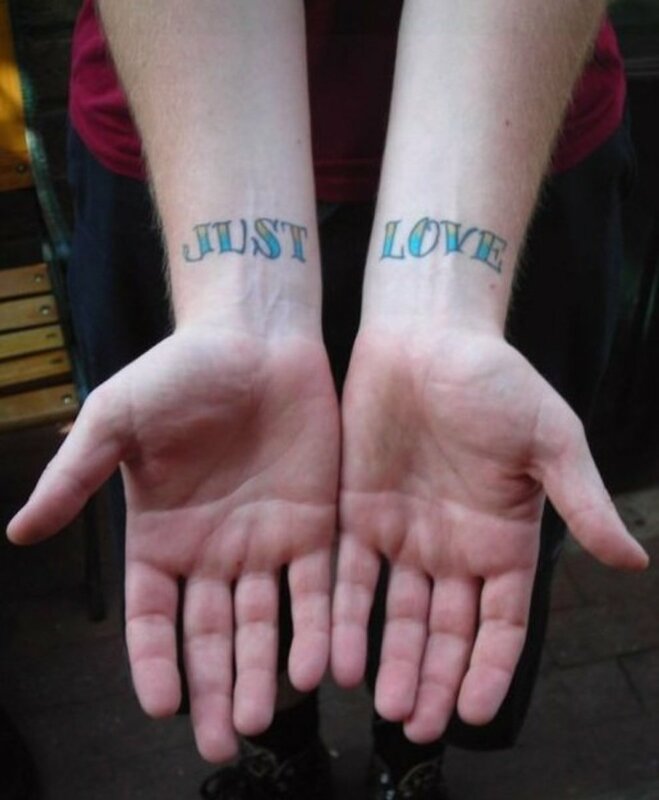 On an episode of Showtime‘s "The L Word", Shane and Carmen celebrated their upcoming marriage by getting matching tattoos that had nothing to do with love nor marriage other than the fact that they were shared. When I was in college, my best friend and I saw the movie "Aimee & Jaguar" at a small, independent movie theater. 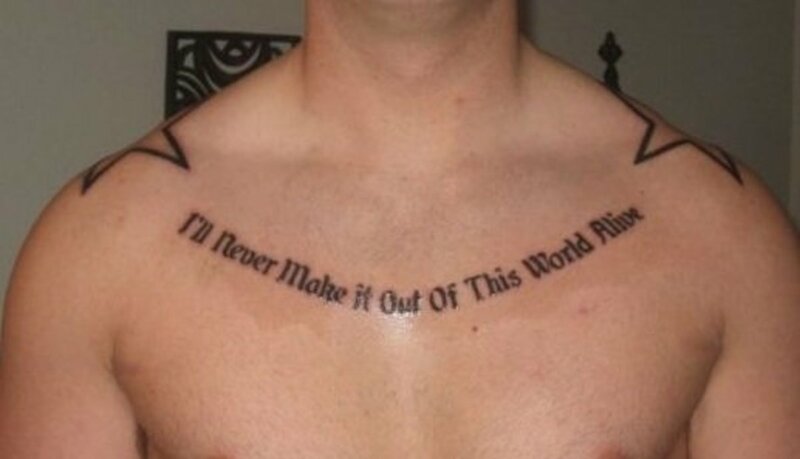 We couldn't stop thinking about several great quotes from the film, so when we woke up one random morning with some extra cash and decided to get inked, we knew it had to be words from the touching and inspirational movie. We wanted it to be something we shared, but also something that made just as much sense when viewed separately as it did when viewed together. 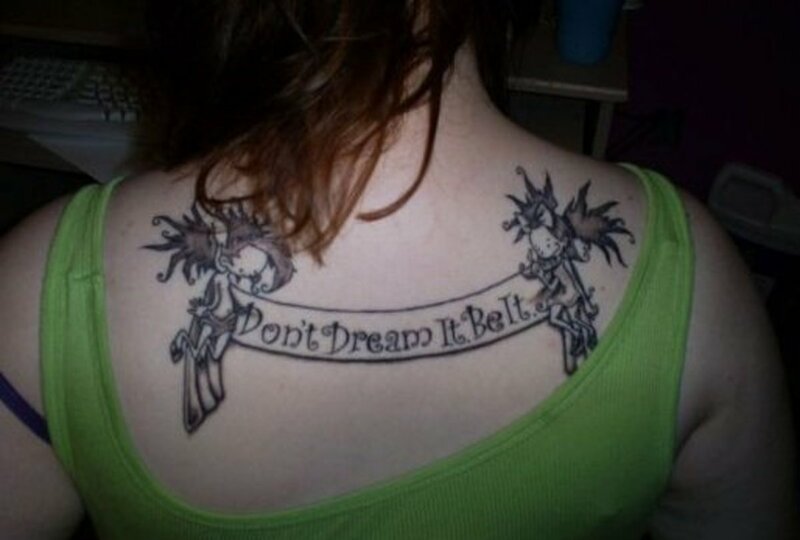 In the end, we paraphrased a line from the film, her getting "I don't want forever..." on her upper back and me getting "I only want now." on my lower. 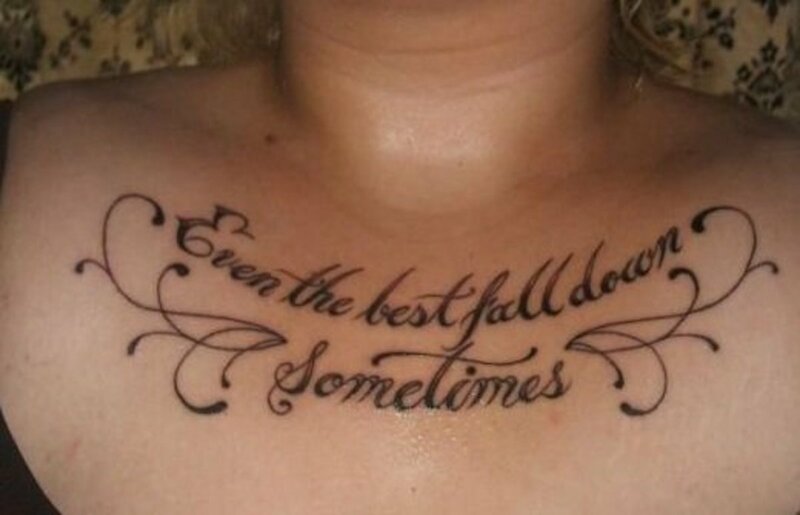 BMEzine.com is an endless source of remembrance and inspiration when it comes to lettering tattoo ideas, and I am always impressed by the quality of words and phrase tattoos found on their site. 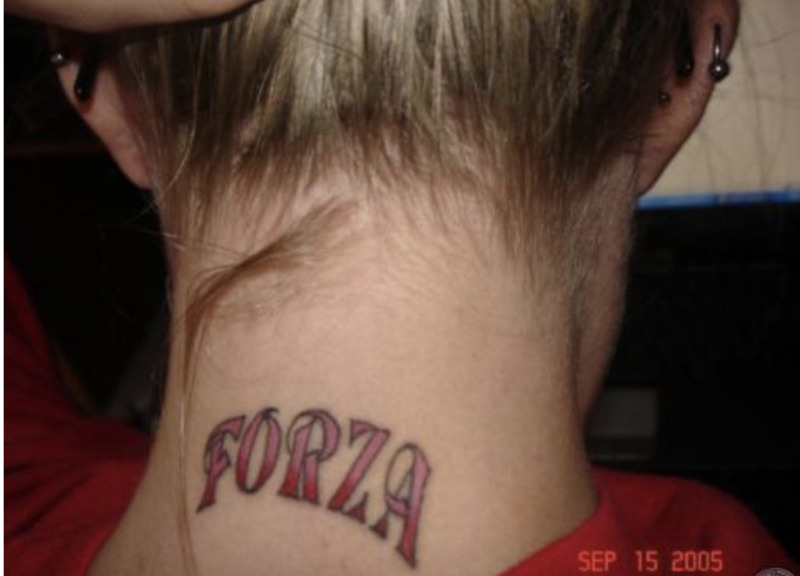 Most of you guys are looking to other people's ideas for your own tattoo's!! My hard & fast rule is don't get it unless it means something to YOU!! im looking for a phrase to get tattooed down my rib cage symbolising not only family but everyone that has stood by me in the past few years something like " live for those i love" but not in those words any ideas? you people gotta be more original! How u say "live everyday 2 the fullest.u never no what day will b ur last" in Arabic?can any 1 help? hi, I want to get a word tattoo, i want a phrase or word that can help me get over or remind me that no matter how much things people can do to me, even if they are the people who are suppose to be closer to me, how many betrayals, Im going to be ok, and make my dreams come true, even if they think too little of me if they underestimate me. who im really close with whos a month younger then me! because were more like sisterss..
Hi! i really want to make a tattoo and i'm looking for someone who can translate it to Arabic . If you can hepl me ,please text me to mimeto_km@yahoo.com . the quote i want is "you do not need wings to fly"
"I can do all things through Christ, who strengthens me." Translated into Sanskrit please.
" ?? ??? ??? ?? ?? ?? " I love the one that says "Fall Seven Times, Stand Up Eight"
In French: Tu ne deviendras jamais vieux et sage si tu n'es pas jeune et fou . im almost 16 and i wanna get the words.. eyes are blind only the heart sees. 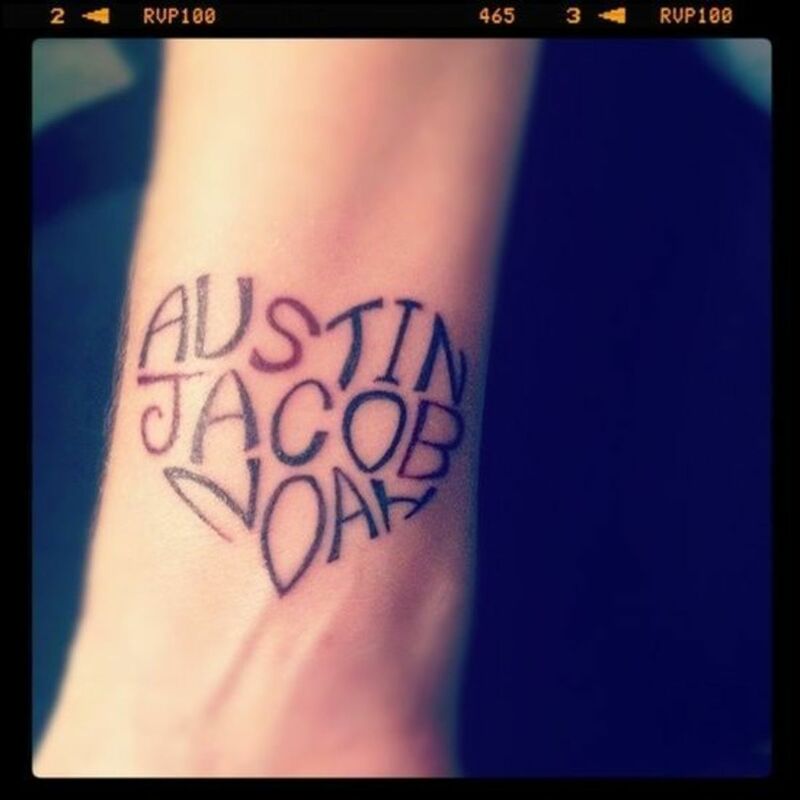 from my neck to my spine OR should i get. in what is seen there should be just the seen .. in what is heard should be just the heard.. in what is sensed should be just the sensed.. in what is thought should be just the thought.. ideas???! He has 1 more tattoo!!! PROOF! His best frend who died 2006. y. After another hard breakup, i am tired of fighting for things that are really just not meant to be. 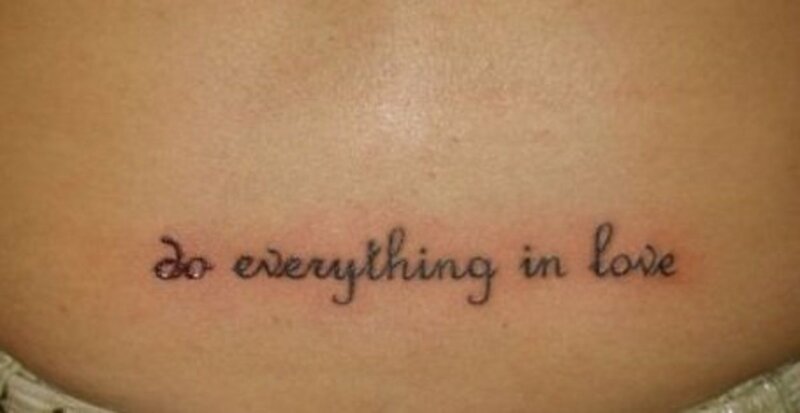 Im trying to find a short quote/saying that means "What is meant to be, will be"
Hi, i need som help, i'm gonna get a tatto that it's something special to me, a word or something nothing to big, i had a rough childhod that made me sick and still is but i'm not sure what i can have, something that can hold me up in hard times, somethings that have a meaning or something... ? Hey my names Nicole im from Texas in Texas my family is very strict and they don't let me go on the internet so i had to come to my friends house in Miami and well i was just wondering where i can find outhow to translate the word FRIENDSHIP in hebrew. the translation in hebrew looks that way.. ?? ??? ??? ?? ?? ?? 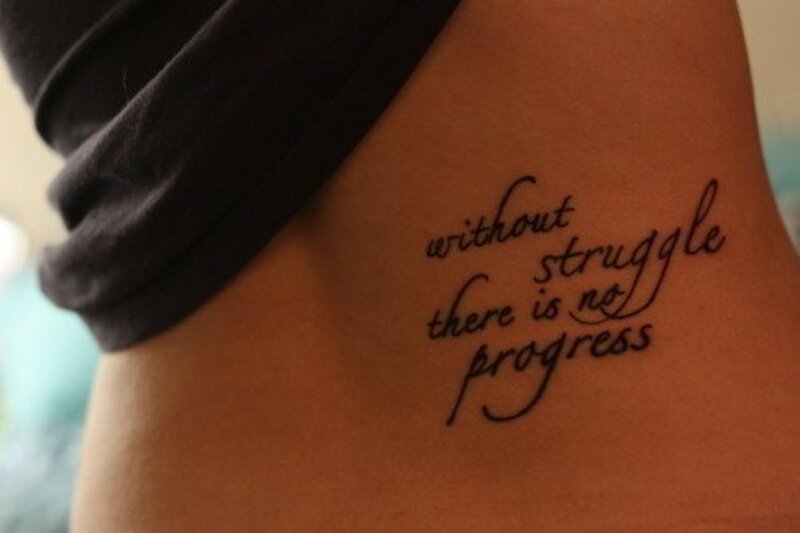 im looking for a single word that would look good across the top of my back in old english...either a single word or a short quote, any ideas? if you want to actually see the lettering, i can send you a picture i have on my computer? 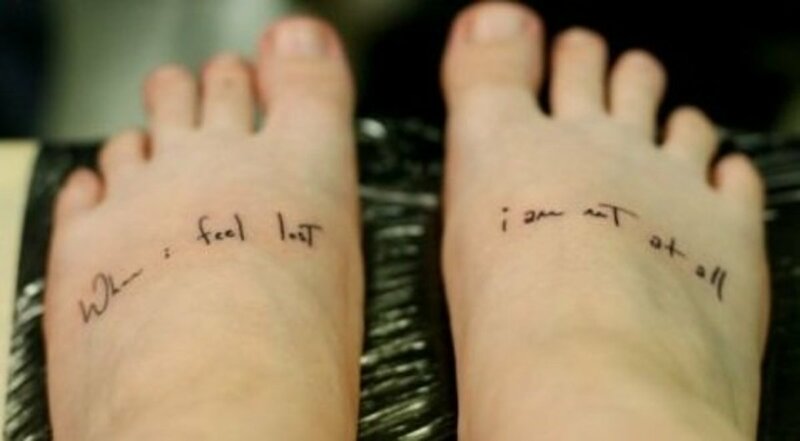 i am looking fot the translation for &quot;if i am not myself, who will be me?&quot; In hebrew please? I am looking for the word BABY in caligraphy and some type of fiminine design at the beginning and the end of the word, is there a designer ?